Glebar's Technical Services Team is available 24 hours a day, 7 days a week by calling 201-644-9908 (for both domestic and international customers) or by emailing tech@glebar.com. Constantly innovating, researching and developing, our team is focused on the total customer experience, maximizing machine uptime and your return on investment, and fine-tuning your processes. Glebar technical service members are ready to respond to your needs worldwide. All of our technicians are trained in various disciplines and on all of our machines. These team members know the importance of keeping machines up and running, and the speed and efficiency modern manufacturing requires. You can reach a Glebar technician at any time to schedule a service call, find a solution to your problem, or have your questions answered. Glebar’s team is ready to help apply our technology and experience into your real world solutions. Constantly pushing, researching, and developing, Glebar consistently innovates in all industries. Contact Glebar today to learn how Glebar centerless grinding and automation innovations can be applied to your industry. Glebar recognizes that modern manufacturing requires a reaction time faster than ever. 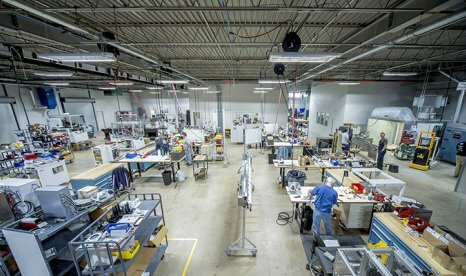 We provide our customers with service plans that allow them to focus on manufacturing and innovation, not the equipment. We offer many plan levels that incorporate services applicable to a large range of industries. We also offer in-house capabilities. Whether you are looking to even out costs, protect your capital investment, reduce labor costs, streamline troubleshooting, or simply increase up-time, Glebar has a plan to fit your needs. Reduce unpredictable costs associated with the downtime of equipment. Develop a better understanding of customer concerns and market force. Normalize costs associated with the maintenance of Glebar equipment. Reduce the cost of parts and consumables.